Before the drug rehab process can begin, individuals with a Lortab addiction must first go through Lortab detox; the process in which the toxins brought into the bloodstream via the opiate drug are given a chance to leave the system. This act paves the way for the remainder of the rehab process because it diminishes the physical cravings for the drug, thus lessening the chance that the individual will relapse during their addiction treatment program. 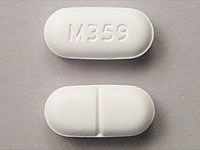 Lortab, a combination of acetaminophen (Tylenol) and hydrocodone, is an analgesic opiate used to treat mild pain and reduce coughing. Hydrocodone, which is habit-forming and closely linked to morphine, binds to the pain receptors in the brain so that the sensation of pain is reduced, while acetaminophen halts the production of pain-causing prostaglandins. Lortab, which is prescribed for moderate to moderately severe pain, is available in tablet, capsule, and liquid form and is taken every 4-6 hours by mouth. Lortab addiction can occur when physician's instructions are not followed and dosage is increased, taken more frequently or for longer than prescribed. What are the signs that you many need Lortab detox? Have you attempted to re-supply yourself with Lortab by enlisting several different physicians to prescribe the medication? Have you attempted to procure Lortab on the black market? Have you stolen or attempted to steal the medication from friends or family members? Have you experienced one or more of the following symptoms? Lortab addiction is similar to heroin addiction, OxyContin addiction and other opiate dependencies in that there is a strong psychological and physical component to it. Lortab is a dangerous drug not only because of the health hazards associated with taking it, but the psychological and social impact of the drug as well. Individuals who become addicted to Lortab have been known to forge prescriptions, steal medications and even feign injury or illness in an attempt to obtain more of the drug. Lortab detox often takes place at a residential drug treatment facility or in a hospital setting. Professional drug detox always takes place under the supervision of a medical professional. Lortab detox generally takes 3 to 5 days, but can run longer if the individual has been involved with a particularly long and intense addiction to the drug. Some Lortab detox programs use additional medication. Many feel that drug-replacement therapy to help recovering addicts is not wise. In the long run, they are simply replacing one drug of abuse with additional drug use. They will then need to maintain intake of the new replacement drug in order to avoid withdrawal effects. What are the withdrawal symptoms associated with Lortab detox?